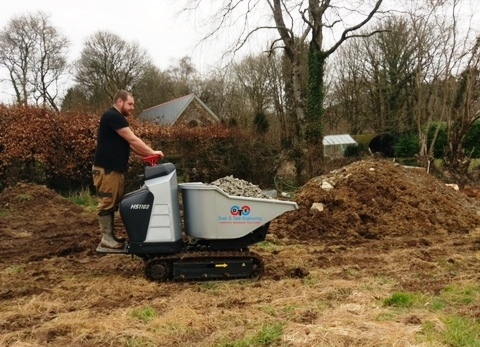 Investment in a second Hinowa tracked dumper helped ensure that the rainy start to 2018 didn’t put a dampener on productivity for an off-mains specialist. 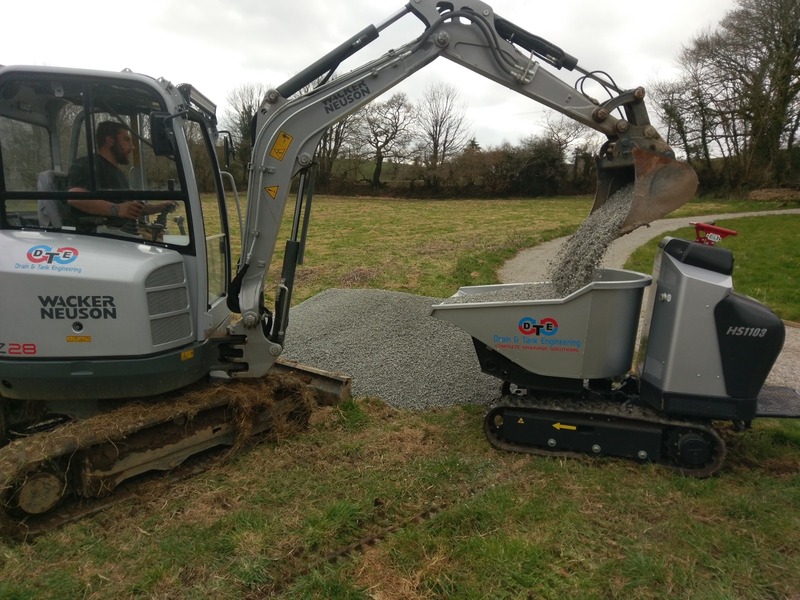 Drain & Tank Engineering Ltd added a Hinowa HS1103 tracked mini-dumper to help with its excavation work when installing below-ground tanks, soakaways and drains. 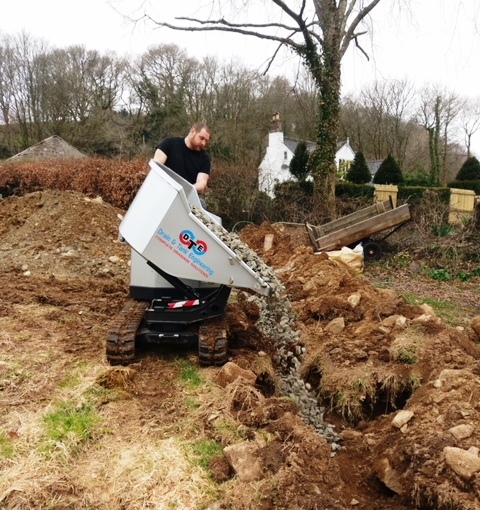 Dean Smith, director of Drain & Tank, said: “The HS1103 is very efficient and works extremely well alongside our mini-excavator. Based in Plymouth, Devon, the company serves a customer base across south-west England. It carries out installation, maintenance and repair of sewage plants, septic tanks, drains, soakaways, pump stations and grease traps. 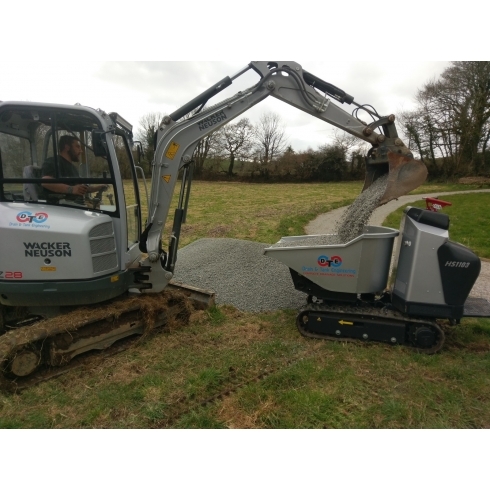 The company purchased the HS1103 from Access Platform Sales, the authorised UK distributor for all Hinowa products. It was painted in Drain & Tank’s distinctive colours at the Hinowa factory. The Hinowa HS1103 is a robust stand-on tracked mini-dumper. 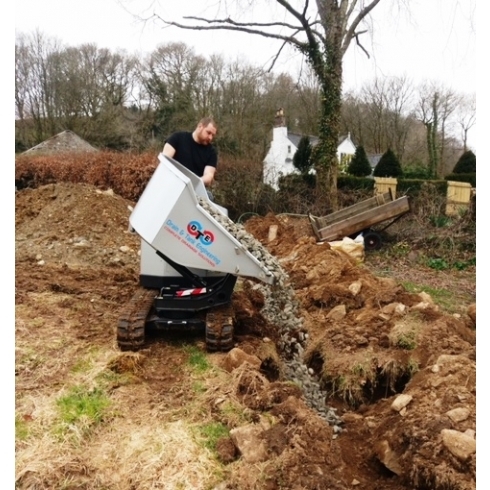 Its width of less than 1m enables the machine to work in tight spaces and pass through narrow gaps. 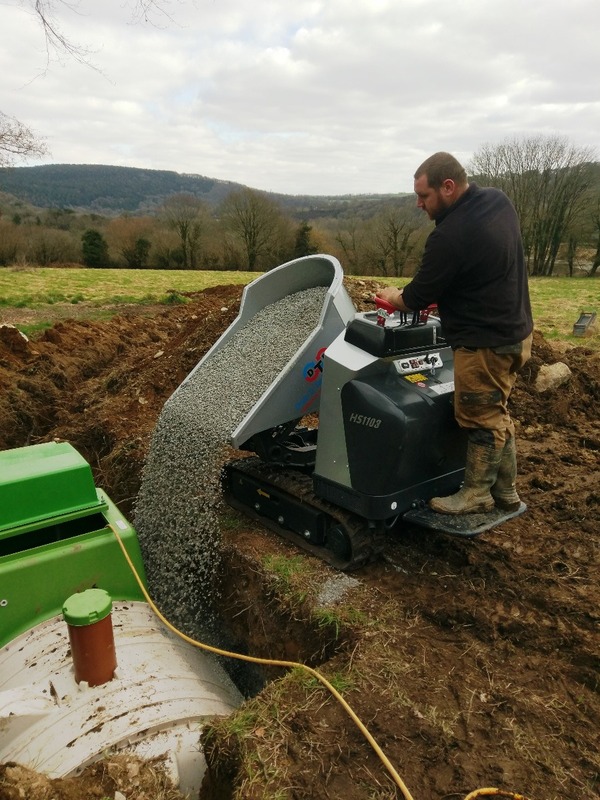 The 180˚ slew bucket that can carry loads of up to 1000kg. Its compact design and unladen weight of less than 1 tonne make it ideal for towing on a trailer for transport. With its robust crawler design and 14kW (20HP) three-cylinder Kubota engine, the HS1103 offers low fuel consumption and durability with a top speed of 5km/h. 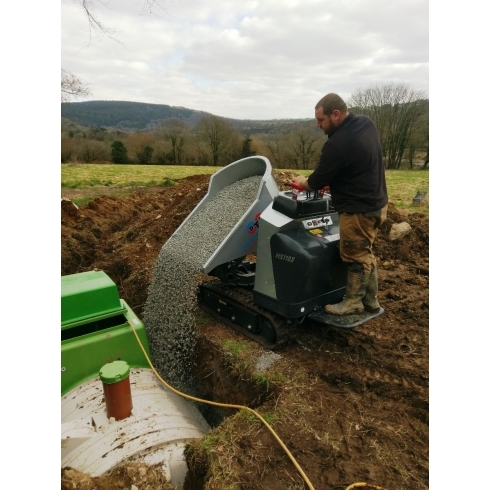 It is ideal for use on residential construction sites as well as for landscaping, estates management and horticulture.